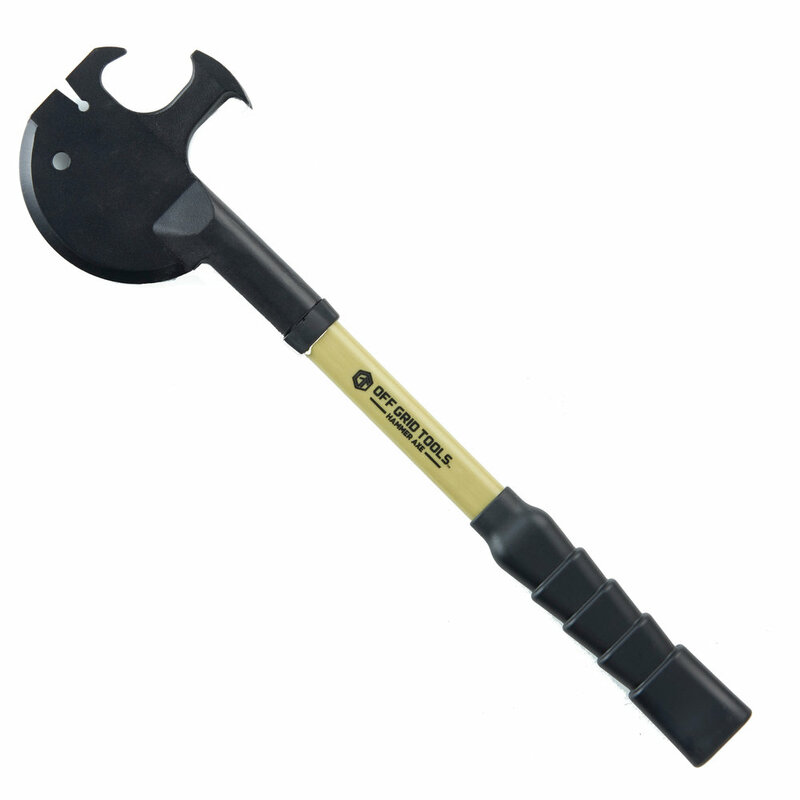 If you need to chop, clear, pound, pry or DEMO something, the Hammer axe is the perfect solution for you. With 8 tools built into one, it equips you with the versatility that very few tools can. At 19.5 inches in length, the Hammer Axe provides you with enough leverage for serious power, but is light weight enough to be easily handled. The ergonomically ribbed rubber fits comfortably in your hand, while providing the stability needed during serious jobs. 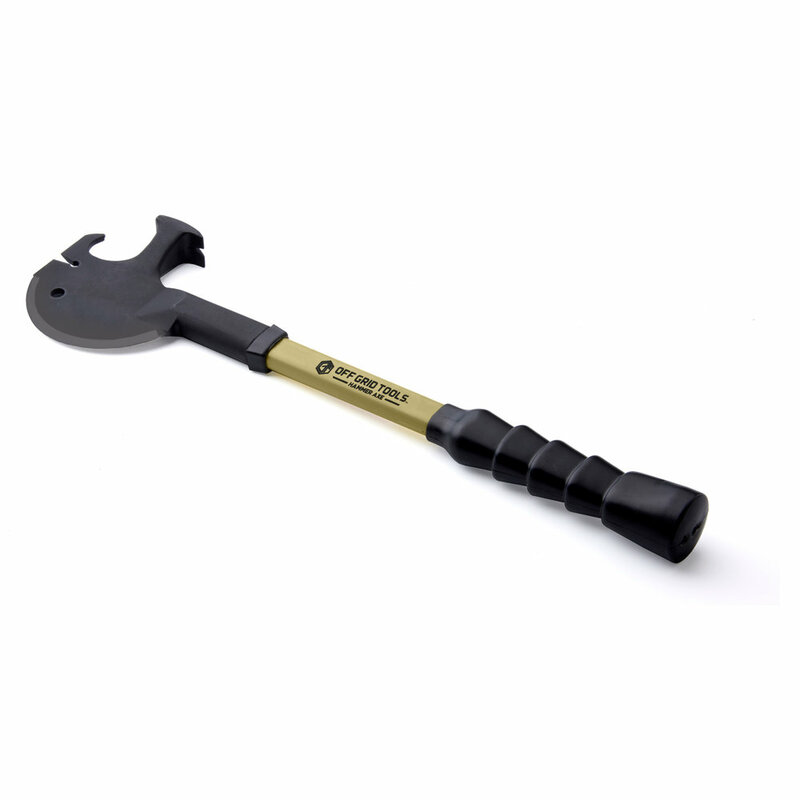 The black oxide coated axe head is heat treated and extremely durable.